Don’t know about you but for me, some days I would love to give that inner critic a big swift kick to make it just go away. Its funny how often I have heard that what you think about is what you actually attract, and it wasn’t long after I wrote down the exact title to this post that I discovered how to switch off the inner critic in me. And, it is about my experience that I wish to share with you here. A few weeks ago now, I watched a documentary on how tests have been conducted on a group of humans who were informed that the placebo they were taking was just that… a placebo. Yet, that group actually improved in the experiment. Forgive me, but I don’t remember for certain what types of pain that group were experiencing (nor whose documentary I had watched) as that was not what captured my attention. The fact that the test subjects were told up front that they were taking a placebo yet even those interviewed after the study was completed, were shocked at their experience with improvements, and they too wanted to understand why. Knowing that if you are anything like me, you will want proof of this being a fact, I have included a study that was reported on by Mallika Marshall, MD who wrote a brief article that was published on Harvard Health Publishing, Harvard Medical School, in which I have included below, as a “Source” for this article. It wasn’t long after that when I attended a webinar where the instructor suggested that we select topics about things we have actually experienced, and have found a fix for. Then it was suggested that we write down a title, right now, for something bothering us that we would love to find a fix for. That’s when I wrote the title of this very article on a small sticky note that sat on my office desk for over a week. Next thing that happened… I received an email (wished I had of kept it!) with a link that I assumed would lead me to an internet marketing product… perhaps one I could even provide a review on. Well, don’t “ya” know, it was a Clickbank product and not one that I would “normally” have gone looking for. Do understand that Clickbank products are one of the SAFEST products you can consider buying, because their vendors have to provide their customers with a money back guarantee. Even if a vendor ignores a customer’s request for a refund, and providing the request is made within the time limit, Clickbank will step in and provide an unhappy customer with a refund… again… providing the proper steps were taken to try and obtain a refund from the vendor. PayPal USED to provide that sort of service but no longer do, so having Clickbank in your “corner”, should make decision time for purchasing a product that is being offered through their platform, a lot more comforting than buying from other platforms that are similar to Clickbank. 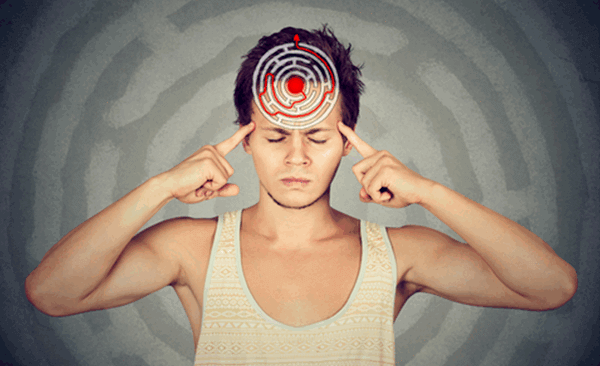 Figuring I had nothing to lose, once I had time to try the product out, I purchased the vendor “secret” to reprogramming my subconscious so that I could actually start attracting what I want, and he suggested that I could start doing that today. It’s like he knows some of what my inner critic has made me feel like at times… YIKES! Mind you, I still wasn’t convinced… but, simply caught off guard, so to say. The narrator claims to be Eddie Sergey shortly after making the statement above, and he continues telling his listeners the story about how he come to finding this method of reprogramming your subconscious. His sad story of the horrific suffering with his health at a very young age, I could NOT verify anywhere online, nor could I find this Eddie Sergey, in order to discover if he is a real person… or not. Because I have heard other Clickbank vendors claim to have lots of bad luck (though never this drastic!) before they “found” the “magical” product they were selling… so yeah, I did remain doubtful. But then too, I had decided I was willing to give the product a try… so, I continued listening to his landing page video. Then he started talking about what your brain looks like on an EEG when the two sides of the brain are not in sync, by sharing a photograph of what appears to be a scan of some sort. There is a redish colour displayed, more toward the front of the brain but only on the left side. From there he goes on to explain that this is what your brain looks like when you want to manifest a better life, but your brain literally won’t let you, no matter how hard you try. That image shows how mainly the left side of your brain is actually working. The next image shown is when both sides of your brain are operating on the same frequencies. Yup, that caught my attention to. How I would LOVE to be able to be an “out of the box” thinker, as I’ve always thought that capability to be amazing. Apparently, your brain is capable of quickly unlearning limitations. This isn’t woo-woo, made-up, hocus-pocus nonsense. In fact, what I’m about to share with you is “the gospel” to some of the most revered quantum scientists in the entire world. Now, there’s a really powerful reason I started off this letter showing you that sub-atomic particle. It literally holds the secret to decoding reality, and when you truly GET what I’m about to say… you’ll never feel afraid about your ability to rapidly manifest anything you want… ever again. Here is where I need to fill you in on yet another “experience” I have had. Having been a professional publisher in the past, I have also been a copyeditor for an author with a PhD, who has written a few papers now about sub-atomic particles, so this topic too I am quite well aware of… eerie, huh? Sergey goes on to explain quantum science… and, he has stated correctly the beliefs that are “out there” on this very topic. Having started off with his bonus product, Deep Sleep Now, I can tell you that after listening to that recording on my MP3 player only once, for the first time in several years now, I was able to fall asleep within minutes of turning off the player and returning it to my nightstand. That was my first night of deep sleep WITHOUT my TV being on, so WOW, is all I can say. I’ve been repeating listening to this recording before drifting off to sleep, ever night since… AND, will continue to do so. As for the other 3 mp3 files, I am now on the 3rd file, and I have to admit, I’ve learned to switch off the inner critic without even trying! And… yes, there are upsells to this amazing product. 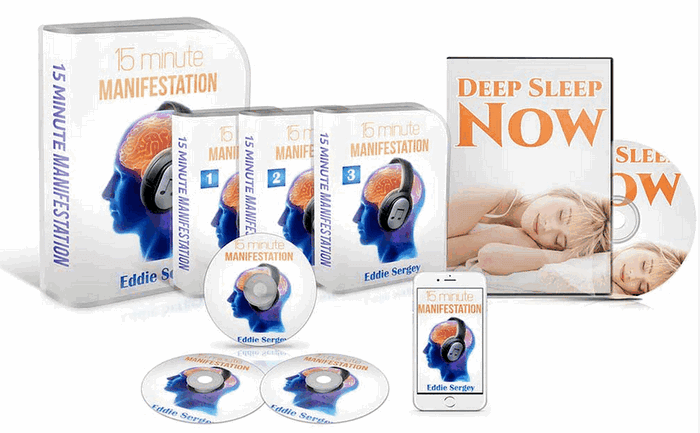 However, if you DO decide to purchase Sergey’s 15 Minute Manifestation (my affiliate link), then keep shortcuts to his upsells to refer to later on… and concentrate on this ONE product to see if it works for you as well as it has for me. AND REMEMBER: The small investment of $49 US funds is protected by a 100% money back guarantee and backed by Clickbank themselves, so you have very little to be concerned with… and, I’m betting you will be every bit as impressed with this product as I am. I have to admit, I’m no longer a “doubting Thomas”, and this product comes highly recommended by me. Even if I only ever gain a good night’s sleep every night since purchasing this product, it has paid for itself, but I truly believe the other 3 files are helping me silence my inner critic too… finally! Should you like to discuss the 15 Minute Manifestation further, I hope you will feel free to leave me a comment below, after which you will receive a response from me, in a timely manner.